Women’s Day Celebration: Fayose to distribute N200m within Ekiti women – Royal Times of Nigeria. 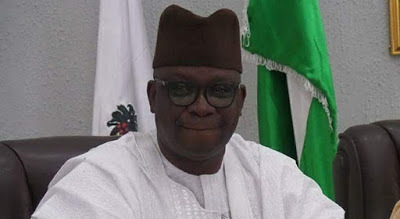 Ahead of this year’s Women’s Day celebration, ten thousand women in Ekiti state are to get N20,000 each from the Ayodele Fayose administration. Secretary to the State Government (SSG) Dr. Modupe Alade said beneficiaries would get the cash in the first phase of the administration’s Women Empowerment Programme. Speaking yesterday on the state television programme, Day Break Nigeria, Mrs. Alade said that N200 million had been made available by the state government for the empowerment. She said the 10,000 beneficiaries would get credit alert not later than Friday, adding that the beneficiaries were selected from all sectors of the state without recourse to political affiliation. Mrs. Alade said the era of relegating women to the background had gone and no nation could advance without empowering the womenfolk.